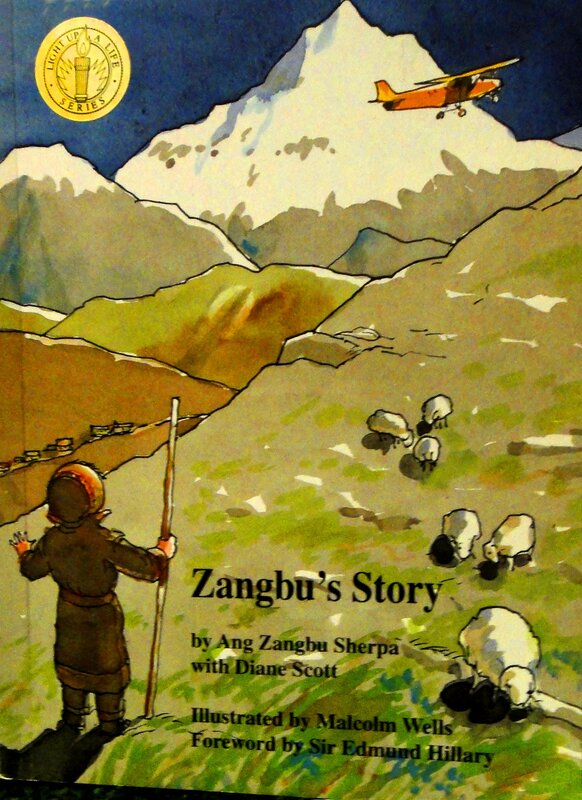 The cover of Zangbu’s Story, by Ang Zangbu Sherpa with Diane Scott, shows young Zangbu, a Sherpa boy, gazing at an airplane. Piloting a plane is to become his dream, but to achieve that he has to endure hardships few of us can imagine, and he needs to go to school. The book describes this true journey. The illustrations by Malcolm Wells alone make it a classic. His first school is a Sherpa school near Lukla, six hours from his home. It is expected that in two years he is to become the one in the family to learn to read and write, to hold important posts in the village, and to understand land deeds often used to steal land from illiterate Sherpas. He struggles not because he is lazy, but because he is working so hard-at pulling weeds and hauling manure in the fields. From the moment it is light until the school bell rings, then from the time he gets out of school until dark–work. But not schoolwork. That must be done, if it is done at all, by the dim light in his cousin’s single open room, where a place by the fire is assigned by age. Zangbu’s story is not about violent struggles with wolves, or imagined struggles with yetis, though there is some of that. It’s about growing up with hunger, hard work, and abuse rather than with toys and creature comforts. It’s about perseverance and the ability to learn from difficulty, not to become discouraged. It’s also a richly detailed account of the educational challenges for children in mountain villages in Nepal. 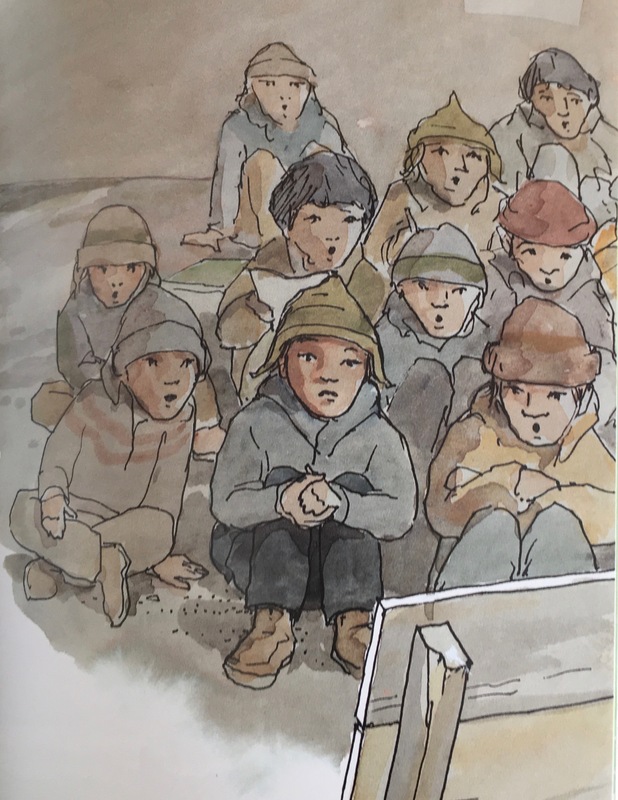 Although written for children, Zangbu’s Story is a book that could inspire and teach any adult as well. I had a very enjoyable evening thanks to Veronica Robles, who performed Saturday for a Habitat for Humanity fund-raiser at the Wellfleet United Methodist Church. Her show was a great introduction to the dance, costumes, songs, language, and histories of different states in Mexico, including Michoacán, Jalisco, and Chiapas. 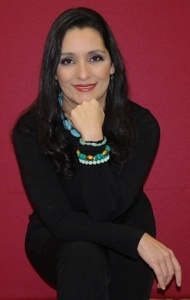 Robles is co-producer and host of the popular Telemundo show – “Orale con Veronica (Let’s Go with Veronica)”. You can hear samples of her music on the Orales website. A major goal of hers has been to connect Latino families with social services and programs. She co-developed the Latino Art and Culture Initiative at Centro Latino de Chelsea and founded Dance, Camera, Action! at the Charlestown Boys and Girls Club. She has six CD’s out and recent appearances at Lincoln Center and Carnegie Hall. Veronica is a natural teacher, who takes her show to public schools in Boston and beyond, promoting arts, diversity, and cultural understanding. She performs with authentic outfits from different regions. The performances are interactive, with group singing and opportunities to dress up and learn dances. There was much amusement at some of the clumsy volunteers, such as myself. Mariachi in Wellfleet might seem at first to be an odd fit. But it worked surprisingly well and made a nice addition to life here. See Best bets things to do this weekend | CapeCodOnline.com. 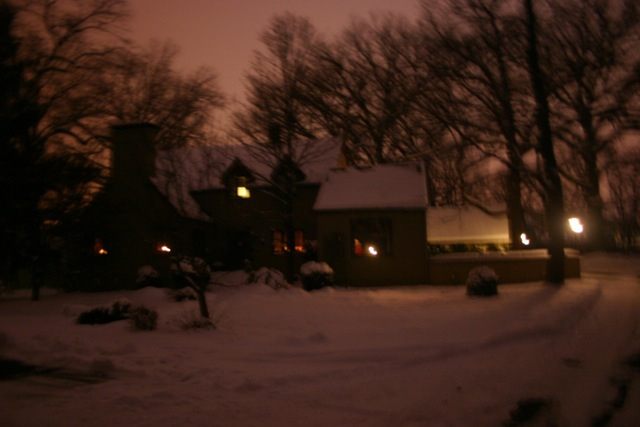 With all the snow, it’s felt like a storybook Christmas time. 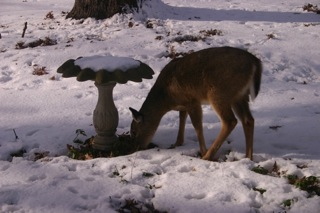 The deer are regular visitors. They have to resort to holly leaves, which is not their favorite, because they’ve eaten everything else in the yard that is now, or ever was green. We’ve been sledding and Emily and Stephen went caroling twice. They also cooked an old English dinner, in the traditional style. However, I should add, “traditional” here requires you to take Harry Potter as your source. The Harry Potter Restaurant’s December Feast started with Warm and Hearty Mulligatawny Soup, followed by Brussels Sprouts with Chestnuts and Mashed Parsnips. The libation was Pumpkin Juice and we finished off with Blancmange. It was a delicious meal, perfectly appropriate for a snowy December evening. You can see the menu below left. We just had an amazing evening in an Iranian restaurant. 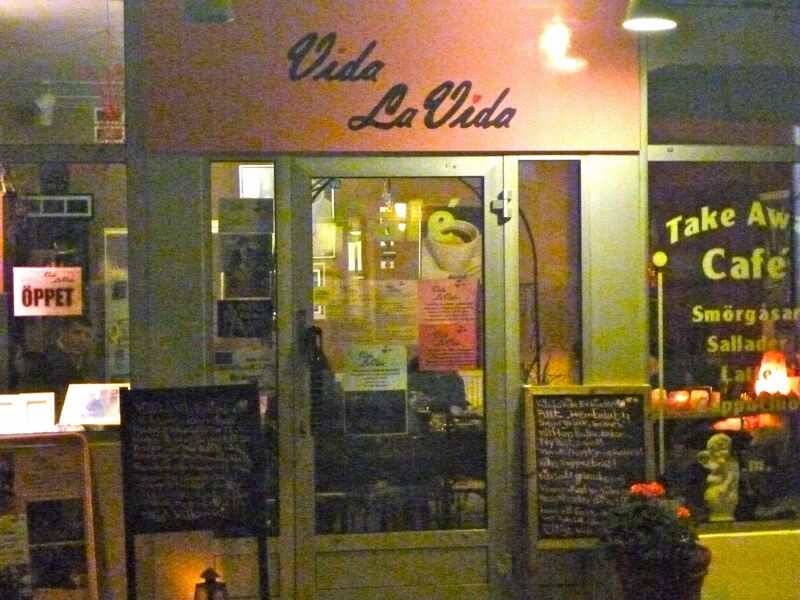 Vida La Vida (formerly Coffee Dance) at Fjärde Långgatan 48 Linnaeus, Göteborg, is a small, but imaginatively decorated place that plays an important role in the local art scene. The eponymous Vida is the multitalented owner and for us this evening, a very charming host. We were invited to enjoy music and dinner at Vida La Vida by Bernardo Borgeson, an Ecuadorian/Swedish filmmaker, who has directed many critically acclaimed documentaries and short films. He’s also worked with marginalized youth to tell their own stories through film. These are often quite powerful and disturbing films. We shared a small table with Bernardo’s friend. The only other table was a large one with Vida’s Iranian family and their friends, several of whom were visiting from the U.S. Various individuals performed on the tar, daf, and other instruments, and sang songs such as Dele Divane and Soltane Ghalbha. The singing was beautiful, almost hypnotic. Many of the songs convey a sadness and sense of longing or loss, even if one doesn’t undertand the words. There was also a lot of group singing, which we were invited to join, with song sheets showing the Farsi words in a Latin alphabet. All of this occurred as we enjoyed an excellent dinner of salmon, fresh vegetables, and good Persian bread. The large group included a young couple about to be married. There was also a woman celebrating her birthday, so we sang happy birthday in Farsi (Tavalodet Mobarak), Swedish (Ja, må du leva), and English. They brought us into all parts of the evening, which went on for several hours, and included an excellent dinner plus birthday cake. Need I add that this was not what we had expected in Göteborg? The evening was topped off by a walk home in which we saw ladybugs, witches, and skeletons. The intensity of the evening at Vida La Vida made us forget that it was Halloween here! 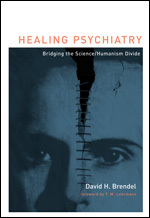 In a 2006 book, Healing Psychiatry: Bridging the Science/Humanism Divide, David H. Brendel notes that psychiatry “is torn by opposing sensibilities. Is it primarily a science of brain functioning or primarily an art of understanding the human mind in its social and cultural context?” He sees the divide between science and humanism as a sickness of psychiatry, one that makes it difficult to heal the emotional conflicts and wounds of patients. Any such formula has its limitations, but this one seems remarkably effective at capturing salient aspects of pragmatism. The first p, practical, emphasizes pragmatism’s insistence on considering the consequences of any concept, to steer away from abstractions and idealizations that have no conceivable effects in our ordinary experience. The second p, pluralistic, reflects the fact that pragmatism is not so much one method or theory, but rather, an approach that considers any tools that may increase understanding, thereby achieving better practical consequences. It also reflects the assumption that interesting phenomena are unlikely to be captured within a simple category or single way of viewing. The third p, participatory, follows from the second in that multiple perspectives, Peirce’s community of inquiry, are needed to accommodate a pluralistic understanding. And the fourth p, provisional (cf. fallibilism), acknowledges that in a complex and ever-changing world, any understanding is subject to change as we learn more or as events occur. Brendel, David H. (2006). Healing psychiatry: Bridging the science/humanism divide. Cambridge, Ma: MIT Press. 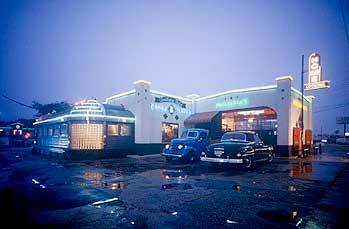 A couple of nights ago, my sister, mother, and I went to Threadgill’s Home Cookin’ on N. Lamar in near north Austin. It’s not far from where I lived when I was in graduate school at the University of Texas. I used to listen to Kenneth Threadgill and the Hootenanny Hoots when they played at the Split Rail in south Austin, so going to the restaurant brought back many fond old memories. It is a simple fact that the Threadgill’s restaurants, museum and live music venues have more to do with Austin’s cultural and musical heritage than most any other institution within the city limits. Perhaps country music lover and bootlegger Kenneth Threadgill had more in mind when he opened his Gulf filling station just north of the Austin city limits in 1933, for the day that Travis County decided to “go wet ” in December of the same year, Kenneth stood in line all night to be the first person to own a liquor license in the county. Soon, the filling station became a favorite spot for traveling musicians since it was open 24 hours for drinking, gambling and jamming. 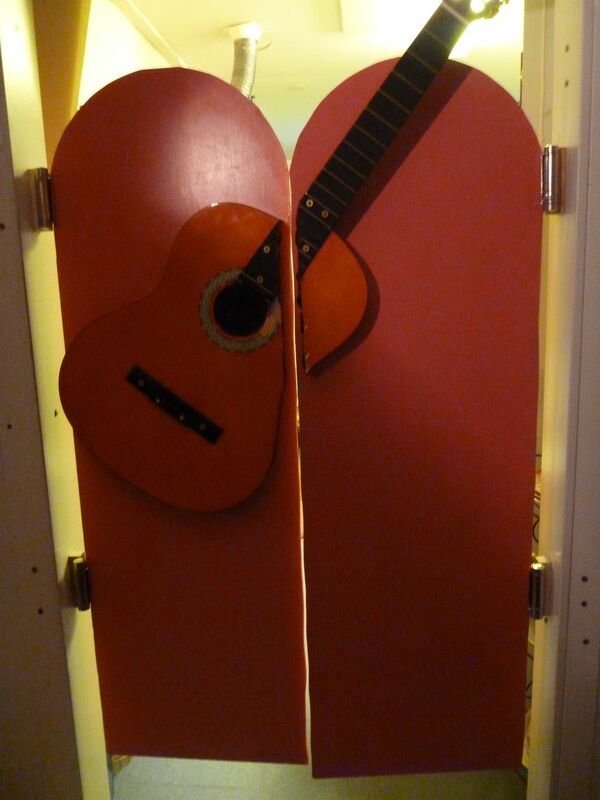 Kenneth would sing songs by his beloved Jimmie Rodgers nightly. Musicians who came to play were paid in beer. Such was the atmosphere at Threadgill’s, it was only when a curfew was enacted in 1942 that its owner had to get a key for the front door, before that it had yet to have been locked. Threadgill’s was important in the development of the Austin music scene. While Threadgill sang Jimmie Rodgers songs, Janis Joplin developed her country and blues hybrid. 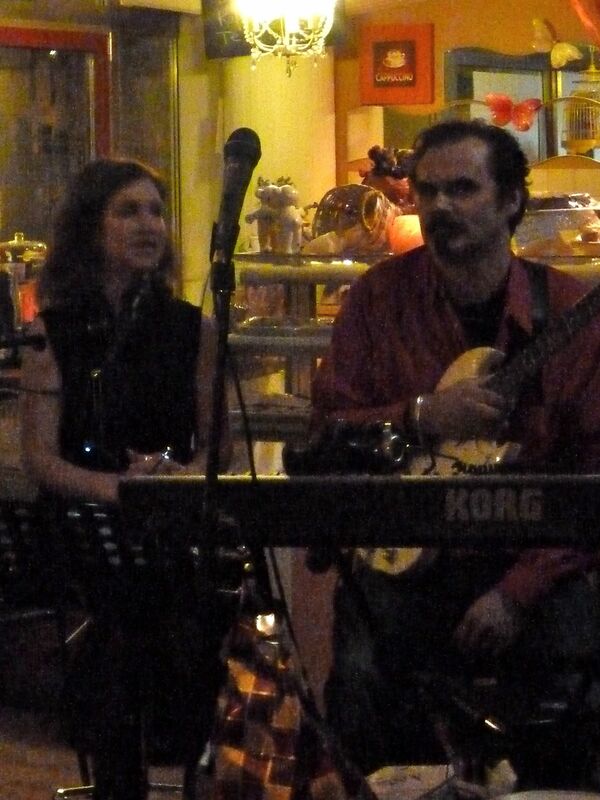 Other performers brought in rock & roll or music from Mexico. Gesa Kirsch recently pointed me to John R. Stilgoe’s, Outside lies magic: Regaining history and awareness in everyday places. It’s a refreshing call for becoming more aware of the ordinary world around us. Stilgoe urges us not only to walk or cycle more, but also to use the advantages of those modes of transport to see the world that we usually ignore. I finished the book, and am writing now, in the antipode of his call to walk and observe. I’m cramped in an airplane seat near the end of a four and a half hour flight. Stilgoe would say that I should still take the opportunity to observe, to learn, and to make sense of my surrounding, but instead I’m counting down the minutes until we land. The chapters—Beginnings, Lines, Mall, Strips, Interstate, Enclosures, Main Street, Stops, Endings—lie somewhere between prose poems, history lessons, and sermons about the everyday. They remind me of John McDermott’s summary that John Dewey “believed that ordinary experience is seeded with possibilities for surprises and possibilities for enhancement if we but allow it to bathe over us in its own terms” (1973/1981, p. x). To appreciate the book, you need to follow Stilgoe as he discovers nature, history, urban planning, ethics, social class, and more through cracks in the pavement, vegetation, telephone poles, roadside motels, angle parking, and other seemingly forgettable objects. The real point is not his own findings, but the demonstration that slowing down to look can open up worlds of understanding. Stilgoe says, “discovering the bits and pieces of peculiar, idiosyncratic importance in ordinary metropolitan landscape scrapes away the deep veneer of programmed learning” (p. 184). Unprogrammed exercise and discovery leads to a unified whole that reorients the mind and the body together. Someone else may own the real estate, but “the explorer owns the landscape” (p. 187). Exploration encourages creativity, serendipity, invention. So read this book, then go. See Outside lies magic, Part 2. Stilgoe, John R. (1998). Outside lies magic: Regaining history and awareness in everyday places. New York: Walker.